Often people ask me, “is there anything I should do to my home after it rains?” It’s very common question, and there are few things you should check after a heavy rain. 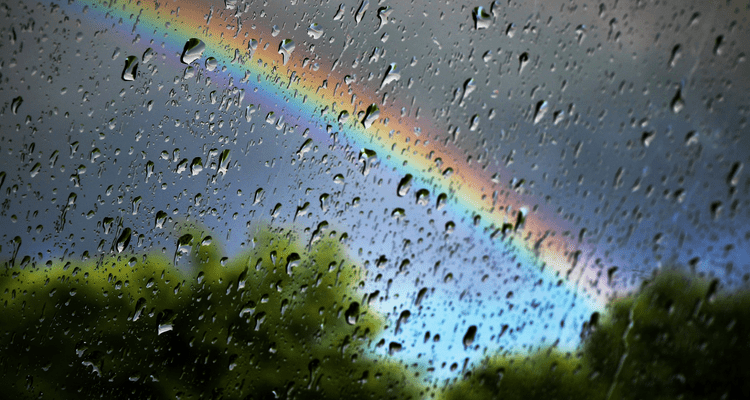 Rain can sometimes affect your indoor air biology. Because rain water can bring dampness, it can affect your room’s temperature and humidity balance. After a heavy rain, you also have a lot of extra water in around the building that can affect the structure. If you get some light showers, I wouldn’t worry too much about the indoor air quality. A light rain will have very little effect, if any, on your indoors. However, it wouldn’t hurt to do these checks anyway, if only for good measure. After a heavy rain fall, the first thing you should do is dry the water and check the air circulation and biology with breath test and health test, especially the temperature, humidity and comfort levels. Sometimes rain comes with heavy winds, and winds can blow a lot of dust particles, leaves and other debris into your gutters and drains. First, clear your gutters, then flush with water. You can use your hands or manually broom out debris. Once your gutters are cleaned, you can test the drainage flow by flushing water down with a hose. Heavy, polluted rain can cause building material damage. However, this is what roofs’ and gutters’ job is. When rain hits these exterior surfaces, the materials will take the big hit. That means, your roof and gutters will deteriorate over time and might see a more drastic change in durability, which is a good thing — thank you, decomposition. You also want to check your drains as in down pipes and natural drainage away from the building. Rain water can often introduce a mind of its own, find its way to the lowest point, and your drainage system will start diverting away from the building – thank you, gravity. That means, your drainage capacity might be less than adequate as well. So be sure to check these areas around and under the building. 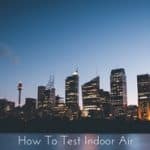 Rain can sometimes affect your building’s air quality and structure. Follow this checklist to keep your building clean even after heavy rainfall. Of course, rain will add more moisture to your building interior than what’s needed. If you have an excess of moisture to your indoors, you can dry it a little by opening windows. Just let the air in the space dry until it’s back at the comfortable level. 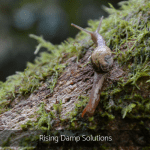 You would need to be concerned about your corresponding damp areas on the ceilings and walls inside – these are greatly affected by potential mould over time. 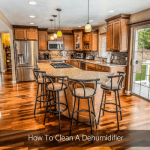 Should I Put a Dehumidifier In? Dehumidifying your building isn’t necessary, although, it’s not a bad idea either. 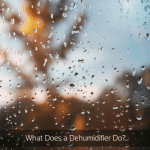 If you get an extremely heavy rain fall, you could dehumidify the spaces for good measure. This will help fight off any moisture that the rain may have brought into your building. Just make sure you dry water and dampness to a dry level within 48 hours, check your gutters, roof, drain pipes and drainage away from your building, then open all the windows after the rain has ended. Round the clock protection when you need it most! 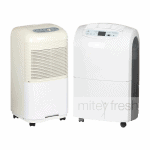 Reduce mould, mildew, dampness, condensation, odours. 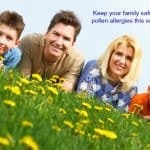 Relieve hayfever, sinus headache, influenza, sneezing, itchy eyes, stuffy nose, coughing, allergic rhinitis, asthma symptoms any time of year! Of course, you should avoid going outside during a thunderstorm because of lightning, and strong winds because of flying debris. You should probably just avoid being outside altogether during the rain for these reasons alone. Run off from your neighbouring properties may also bring in some extra water. Again, make sure you follow this checklist after a heavy rainfall and your building won’t have any issues including, contaminated air or mould. As Principal Consultant to Mitey Fresh since 1996, I have acquired knowledge of adverse health effects at the client’s properties and recommend effective strategies to reduce occupants’ exposure by eliminating and controlling as many sources of pollutants in order to create healthy indoor living environments that are as exposure-free and natural as practically possible.